BiB Ophthalmic Instruments | BiB Ophthalmic Instruments are a UK based Distributor & Wholesaler of ophthalmic diagnostic equipment to the U.K. Optometric & Hospital markets. 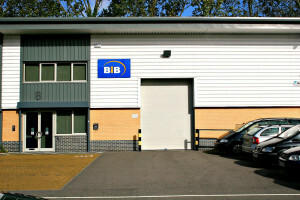 BIB Ophthalmic Instruments, established in 1999. An independent UK based sales, marketing, distribution and service company, specialising in ophthalmic instruments and associated supplies. We work very closely with our global manufacturing partners to ensure we offer cutting edge technology at highly competitive pricing. We focus on innovations in ophthalmic technology from around the world and continually strive to recognise market trends and anticipate requirements to ensure we stay at the competitive forefront. We welcome new ideas, from conceptual to the finished products, from individuals to established companies. We also encourage R&D centres to work with us to use our experience and our understanding of customer needs to bring new ideas to market. As well as working with world leading ophthalmic manufactures on a distribution basis we have developed our own OEM brand of instrumentation, Mitron, which is available for UK and Export markets. Mitron products offer reliability, and quality at entry level prices. Customer satisfaction is key to our on-going success! Not only do we provide the right products to you at the right price, once you purchase from of us we want your custom for life! Our sales are backed up by a highly skilled and experienced team of service engineers. From installation, to product training, relocation services, emergency call out, preventative maintenance, service contracts, extended warranties and more. We look forward to working closely with you to ensure your success.